Well filled and a little longer to deliver than most overstock items but well filled. Wish they came with a pillow cover! Calm, serene & blissful is the Providence Collection of the most luxurious down filled pillows. Created by a global cooperative socially and environmentally committed to RDS; a responsible down standard. Providence down is unsurpassed. 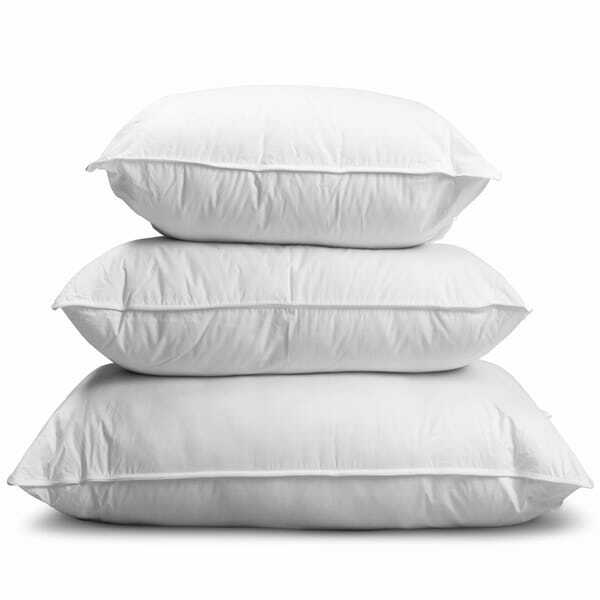 We use only the finest quality white goose down with the largest most resilient clusters. Each bale is carefully washed and sterilized so that your bedding is 100% pure, luscious and hypoallergenic. We use the most exquisite down proof cottons covers for the ultimate in softness. Our 650+ fill power is a measure of the loft or "fluffiness" of a down product. We use nothing less. While fill power is a measure of volume, fill weight is a measure weight. Fill power rates quality, and fill weight signals quantity. "How many ounces does a standard size pillow weigh?" 12 ounces in the soft standard pillow. I hope it helps.